Rich or Poor: Who Plays the Lottery More? Lottery games have been a part of the gambling business for decades, and it’s no wonder why- who doesn’t want to have a chance of winning thousands, possibly millions of dollars? It’s a temptation that attracts those who are already financially stable, and even more for people who only have a few dollars to their name. But who is playing the lottery more, those who already have more than enough, or those who actually need more? Let’s find out! It probably isn’t a surprise, but poor people are the leading participants of lottery games in the US, as concluded by a 2011 study from the Journal Gambling Studies. It included over 4,000 participants across all states, with a specific focus on lottery gambling like scratch cards, daily numbers, and lotto games. The results showed that the lowest fifth in terms of socio-economic status has the highest rate of playing the lottery, and the most number of days spent gambling, while those in the higher status averaged only about 10 days of gambling. 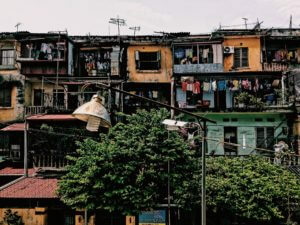 It seems that households with lower income are more willing to spend their money- no matter how little they have- betting on lottery games, and possibly view it as sort of an investment for a quick getaway from poverty and improve their current living conditions. Another study in Duke University suggests that one-third of the poorest households in the US contributes to half of all lottery ticket sales. In addition to this, North Carolina Policy Watch reported that 18 out of 20 counties with higher poverty rates (more than 20%) topped the statewide average lottery ticket spending of $200 per adult. In 2014 alone, lottery ticket sales in 43 US states reached 70.5 billion, whereas other entertainment sectors like sports, movies, video games, and books only gathered a fraction of this amount. That’s $300 spent on lottery tickets for every adult, with most of it coming from poorer households. Harvard also has an interesting find– while the rich tend to participate only when the jackpot prizes are the highest, the poor ones play them regardless of the prize amount. This is why daily games and scratch cards have become popular– although they only offer a fraction of the bigger games’ jackpot, these smaller prizes are considered a big win by the poor, thus explaining their continued purchase. The government has also taken advantage of this trend by advertising state lotteries towards their poorer citizens, where addictive behaviors are more prevalent. Since a portion of state lottery profits go to government services like education, infrastructure, and charity, researchers speculate that this is a way to make poorer individuals contribute to society, even if they currently don’t pay taxes or are jobless to start with. 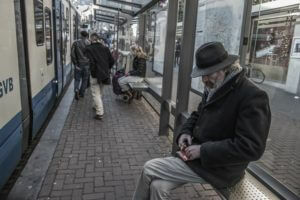 A sociological study made in Germany last 2012 sought out the answer as to why the poor spend more money on lottery tickets as compared to their wealthier counterparts. The results showed that peers, educational attainment, and self-perceived social deprivation are major factors for such behavior, with culture contributing to a lesser extent. Out of all the factors, though, network variables have the largest impact, meaning a person’s lottery purchases are directly related to their social connections’ involvement with gambling. The study also supported previous findings that people who feel that their everyday routines are hopeless and pointless spend more money on lottery tickets. In short, people who find their daily efforts to get out of poverty futile and are surrounded by peers that also gamble spend more money for lottery tickets, compared to everyone else. Furthermore, another study published in the Journal of Behavioral Decision Making showed that poor people see the lottery as their ticket to improve their financial status and finally experience a better life. It’s interesting to learn that people who were made to feel subjectively poorer bought twice as many tickets to those with more financial resources, further solidifying the conclusion that self-perceived social standing has a strong relation to lottery ticket expenditures. It may not be surprising to find out that poor people bet on the lottery more than the rich do, but it is quite a shock to learn how much they are contributing to the overall sales of the industry, to the point where the government is actively advertising and relying on this demographic for state lottery revenues. The reason why the poor gamble more on lottery tickets is also not far from anyone’s guess- they view it as a way to improve their current living conditions, and the more helpless they feel for their situation, the more that they spend in the lottery. 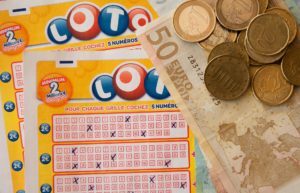 They are also inclined to spend more on lotto games if they are with people who also play, so it becomes a whole network of lottery players in the community. It’s too sad to learn that desperation is one of the main driving points of this behavior, but perhaps the few moments of thrill for the results, coupled with the chance to win cash, no matter how small, is a worth the expense for them.